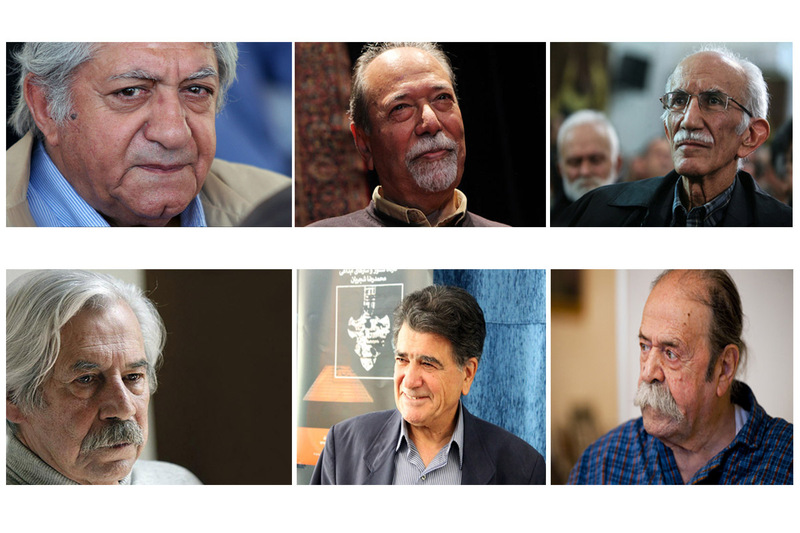 Tehran, APril 16, IRNA - Tehran City Council wants to name the Iranian capital's streets after the contemporary artists who have won the hearts and minds of their nation. The Iranians believe he who dies only his body leaves this world, but his memory will remain alive and Tehran City Council is planning to take this belief to another level. The city councilors approved a proposal on Tuesday to name a street in the western Shahark-e Gharb neighbourhood, home to well-off residents, after Iran's critically-acclaimed classical singer Mohammad Reza Shajarian in a bid to pay tribute to this living internationally-famous singer. Shajarian, who became famous in the early 1960s for his distinct style of singing the Persian classical music, is the apple of the eye of the Iranians who cherish poetry and good singing in their traditional music. 'I propose that streets and allies in Tehran be named after the distinguished Iranians,' Mahmoud Mirlouhi, a Tehran City Councilor said while the proposal was being studied on Tuesday. The 78-year-old artist, also described as Iran's greatest living ostad (maestro) of Persian classical music, was awarded with the Picasso Award in 1999 by UNESCO in France. Also in 2006, he was given the UNESCO Mozart Medal. 'We shouldn't be waiting to lose the great cultural and scientific people and later decide to name places after them,' said the councilor. The Iranians consider Shajarian as their own voice as he rose his voice against social and political issues in different time periods. The late Iranian artist (1933-2016), known for his brilliant theatrical performance, was born in Tehran and lived in the city till his death. The actor is remembered for his role in the 1988 television series Hezardastan (nightingale). As a tribute to this great contemporary Iranian artist, a street in the affluent northeastern neighbourhood of Aqdasiyeh will bear his name, according to the capital authorities. Iran's most male chauvinist (pedar salar, in Persian), who holds a special place in the minds of the Iranian nation for his great performacne in the 1990s hit television series Pedar Salar, will also lend his name to a street in the northwestern neighbourhood of Sa'adat Abad. The famous Persian calligrapher was born in 1939 in Taleghan, west of the capital Tehran. He held his first solo exhibition in 15 years in 2014. He has rewritten in calligraphy many precious works of the ancient Iranian literature such as Gulistan by the 13th century poet Sa'adi Shirazi, or the Divan of Hafez, the grand mystical poet Hafez of Shiraz (14th century). According to Tuesday's approved measure, one street in the western Shahrara neighbourhood will be named after this great Iranian calligrapher. The actor and director, most remembered for her role in the 1980s TV series Sarbedaran, will also see one street in the northeastern Ekhtiariyeh neighbourhood named after him. She is largely regarded as the first major Iranian woman novelist. She published 'Sou va Shoun' in 1969 about the life of a landowning family in Shiraz who faced the occupation of Iran during World War II. It is the first novel in Persian language written by a female author. Her name will appear on a street in the northeastern Dezashib neighbourhood. The Iranian actor, writer and director founded the Hafez Trophy, the first private sector cinematographic award in Iran. He died in 2017 due to heart failure. His name will also appear on a street in the western Shahark-e Gharb neighbourhood. According to the approved plan, alleys that lead to Dolat street in the northern Gholhak region will be named after other contemporary Iranian artists, inclduing the late journalist and writer Manoucher Atashi, poets Emran Salahi and Bijan Taraghi, Esmail Shahroodi, Parvin Dowlatabadi, Akhavan Sales, Simin Behbahani, Forough Farrokhzad, Fereydoon Moshiri, Mohammad Ali Sepanlou and Karim Amiri Firouzkouhi. The list goes on to include the poets Mahmoud Shahrokhi, Hossein Monzavi and Houshang Ebtehaj. The celebrated late Iranian director Ali Hatami, famous for his best work 'Mother' as well as a number of other memorable titles, will lend his name to an unnamed square in the Valfajr Town in mid-northern Tehran.